road trip. 5 days. 1, 235 miles. When we started off on this little adventure my kids were calling this the “non-vacation”…seems everyone but me thought a week in Hawaii with a good book and a stack of magazines was just about what everyone was up for. I mean it’s not like we had just endured a New York winter…we live in Southern California. With such low expectations, we had no where to go, but up. And with a little bit of luck, we arrived in Phoenix while it was still warm just in time for a swim and a beautiful sunset. The weather was perfect and we enjoyed a little resort time after all. This put everyone in a good mood as we headed for the Grand Canyon. But first, Phoenix. My husband and I met 24 years ago when we both had just relocated to Phoenix. I had just moved from Denver, and he from Providence. We met in May and married in August. We were introduced through mutual friends I had known in college in Denver, but they were living in Rhode Island at the time. It was sort of a long distance set-up. The best part is that they then relocated to Phoenix and we all spent the next couple of years exploring the city and the state of Arizona. So it comes as no surprise that the Valley of the Sun holds wonderful memories for us, not to mention my twin sister and her family live there as well. 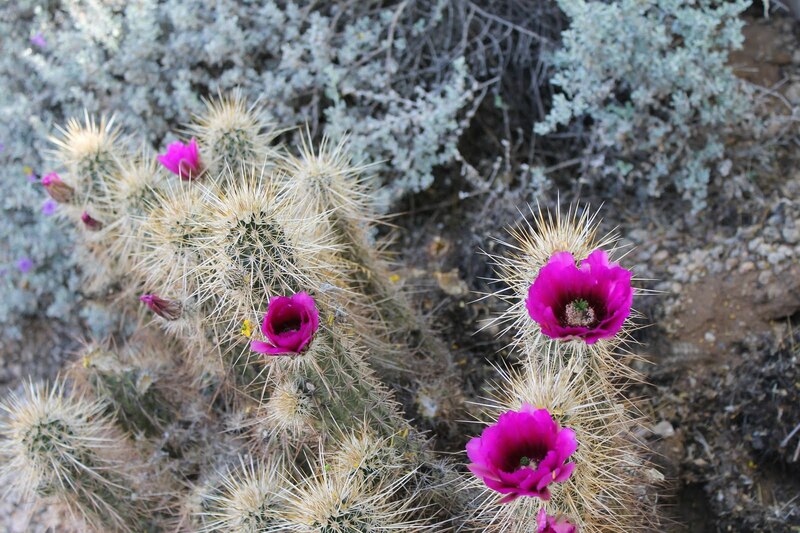 Springtime in the desert is bursting with vibrant color. My sister lives in Paradise Valley, AZ. Land of beautiful resorts. 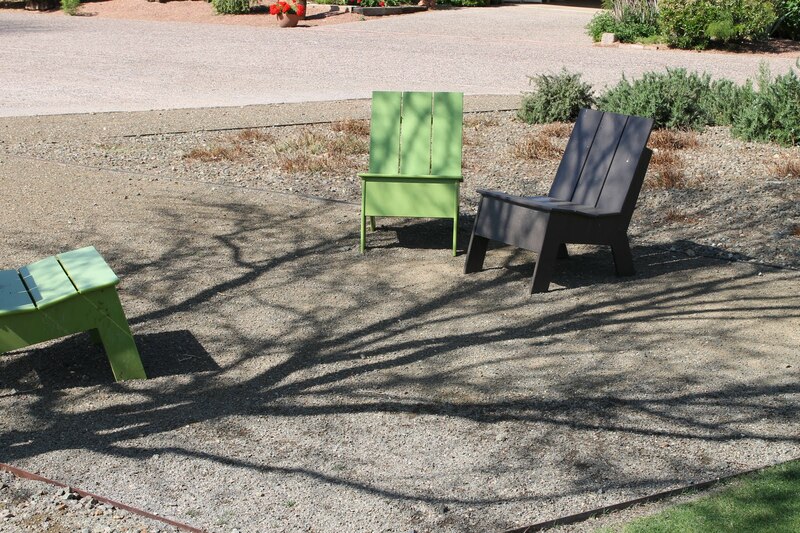 They live in a small community of homes within the resort of Camelback Inn. 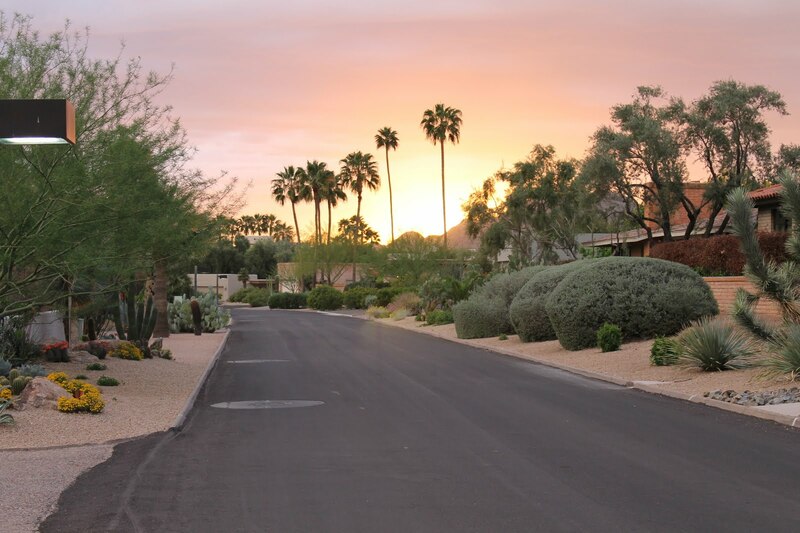 The homes have beautiful views of Camelback Mountain. The mountain changes colors from sunrise to sunset and is breathtaking at dusk. One of the best parts of living a stones throw to the resort is that you can walk to one of the best happy hours in the Valley. In the winter and spring months the patio is where the action takes place. 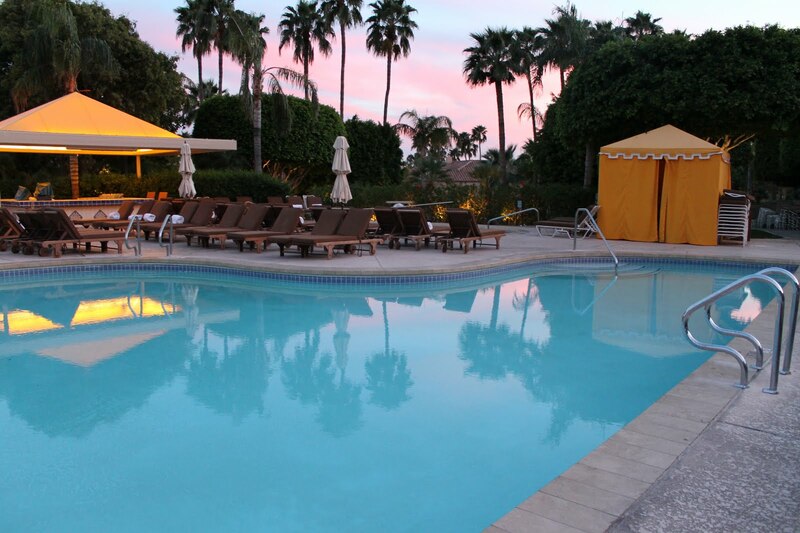 There’s comfortable seating arrangements, fireplaces, live music and amazing food…and this is every night of the week. During the heat of the summer, the happy hour moves indoors and I’m told this is the place to be during the heat. We went for a quick walk from my sister’s house and saw all this beauty. This is the prettiest time of the year. With camera in hand, I was noticing everything. 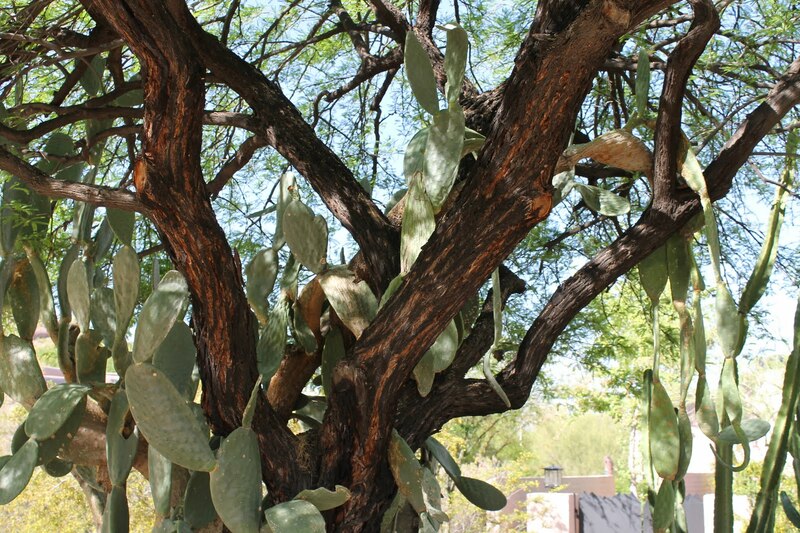 Like this cactus just winding through the limbs of the tree. 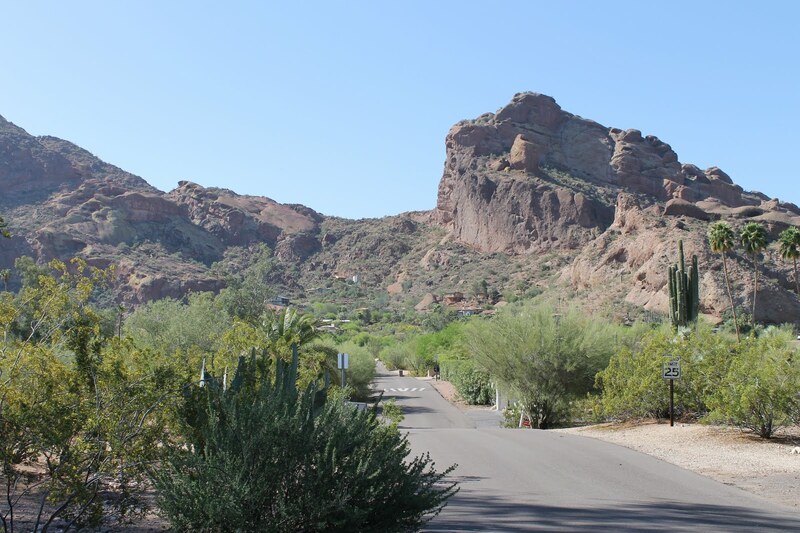 My sister looks out her kitchen window…a community spot…beyond is an amazing view of Camelback. 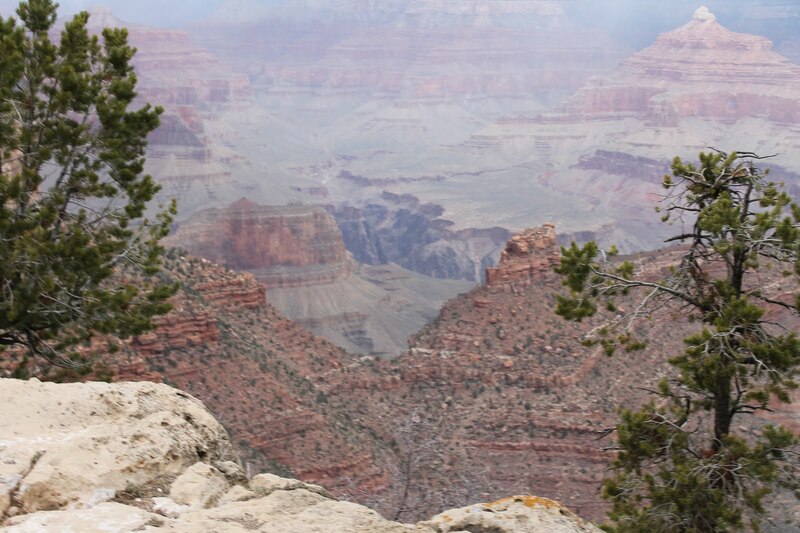 The Grand Canyon, South Rim is 225 miles from Phoenix. 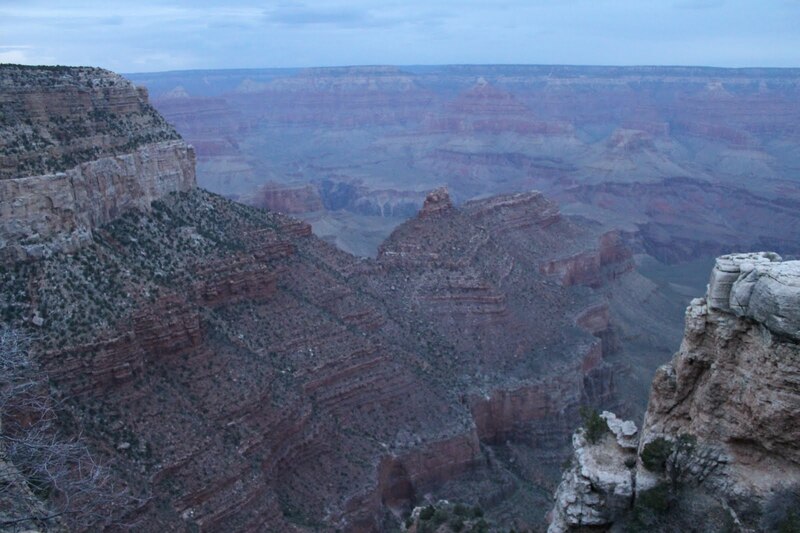 As many photos as you’ve seen of the Grand Canyon…it still takes your breath away. 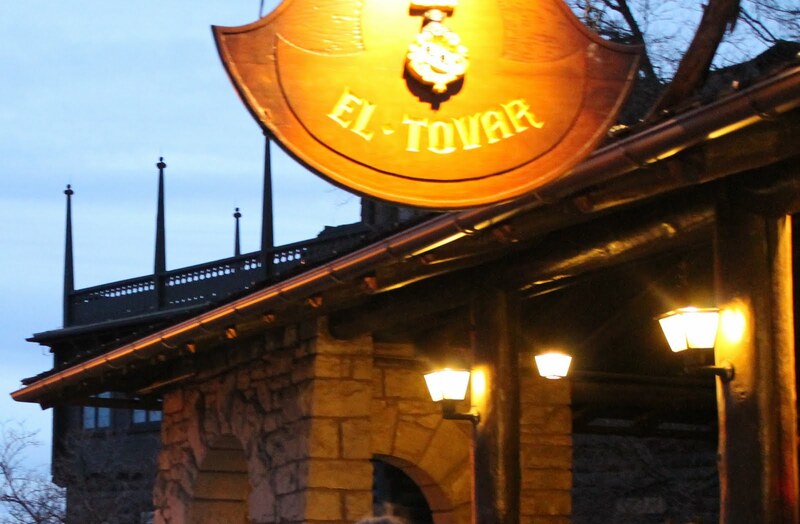 We made a reservation for the dining room at El Tovar on the way to the Grand Canyon. It was built in 1905 and although the food was nothing special, the dining room was beautiful and we had a table right by a roaring fire. The temperature was 33º when we arrived. The hotel has only 78 rooms and was completely booked. So part of an adventure is going with the flow. 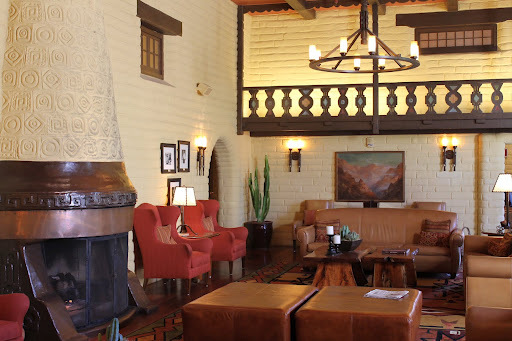 On the drive I checked for cancellations, but no luck…so we stayed at the newly renovated Yavapai Lodge. This was a bit of an adventure at least for the kids. We drove to our room, located in building 5. Not the most attractive “lodge” type accommodations…but very clean and I think we may have been the first guests to stay in the newly remodeled rooms. After dinner we thought why not watch a movie. It took about 3 seconds to realize there will be no movie channel at this lodge. So we all watched episodes of Glee and Friends on an ipad and this will probably be one of our best memories. 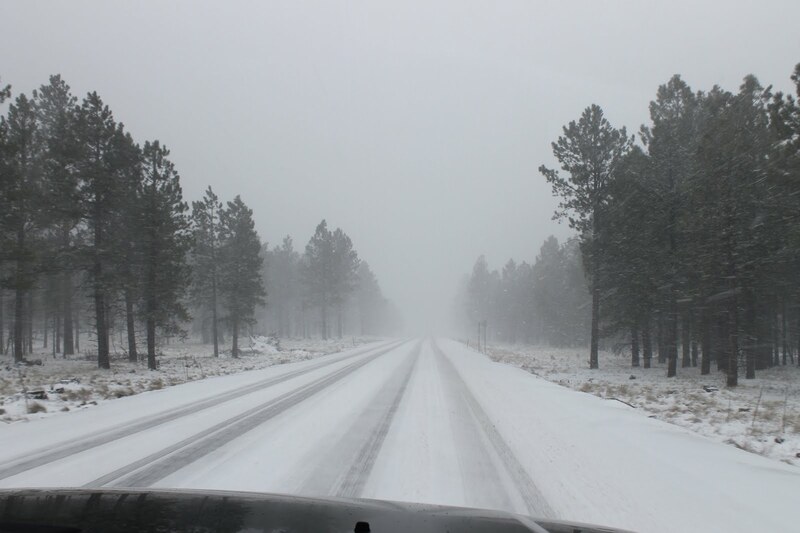 Our drive down to Oak Creek Canyon and Sedona. We were at 8,000 feet. 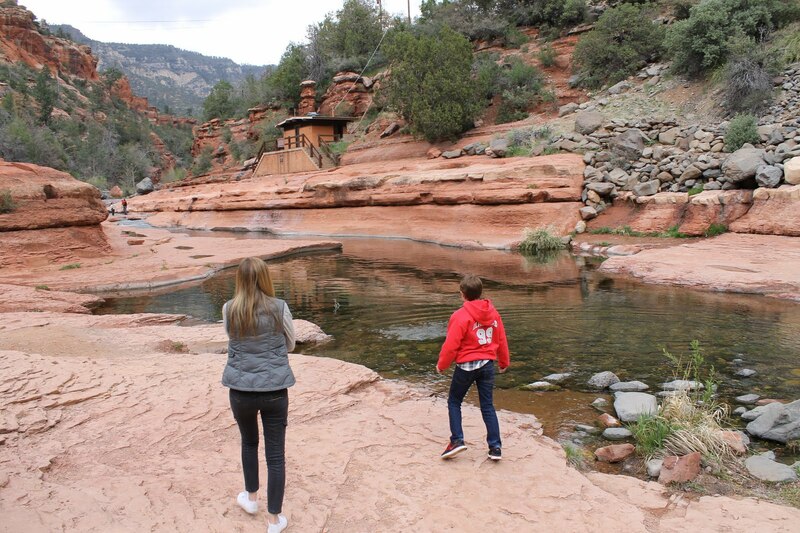 Slide Rock at Oak Creek Canyon. Can you tell I got a new camera? The weather was not conducive to swimming, but perfect for skipping rocks. Do you see it? 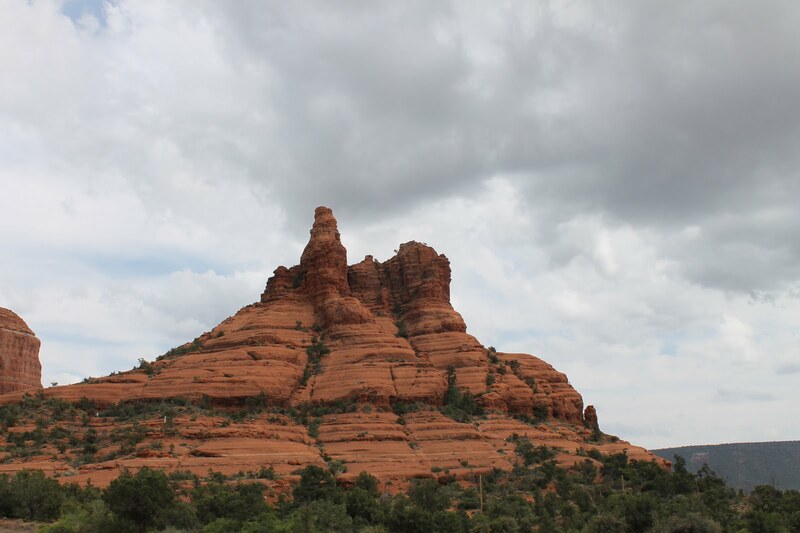 Bell Rock, Sedona…where we were engaged. 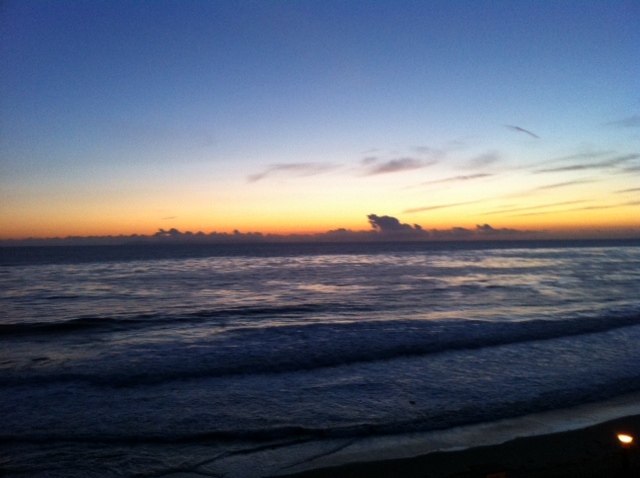 Home again…just in time for sunset. 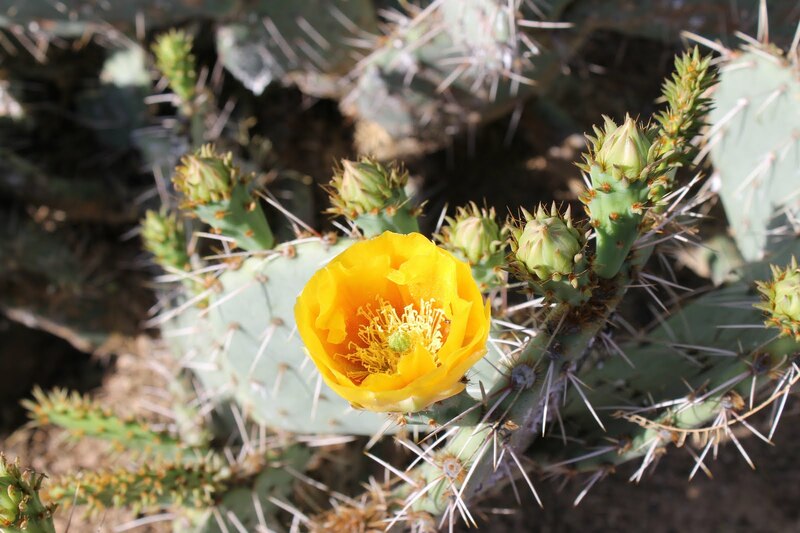 Just beautiful….I love AZ and desert scenes! So happy you all came for a visit! Your photos are beautiful. Bravo on the new camera. We just went on a road trip too! Details on the camera please. 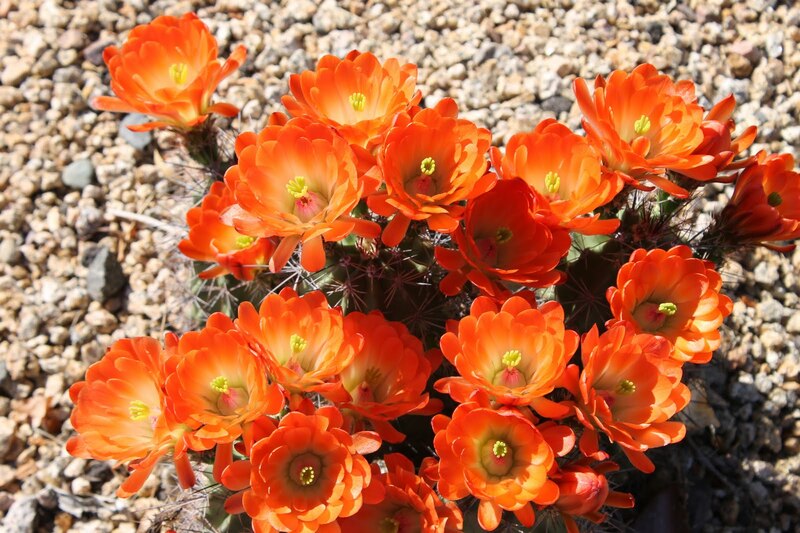 The pictures you took are amazing, especially like the orange and hot pink flowers! Sounds like a wonderful vacation! I love that you and your husband met in May and were married in August…I would love to hear more about your love story. 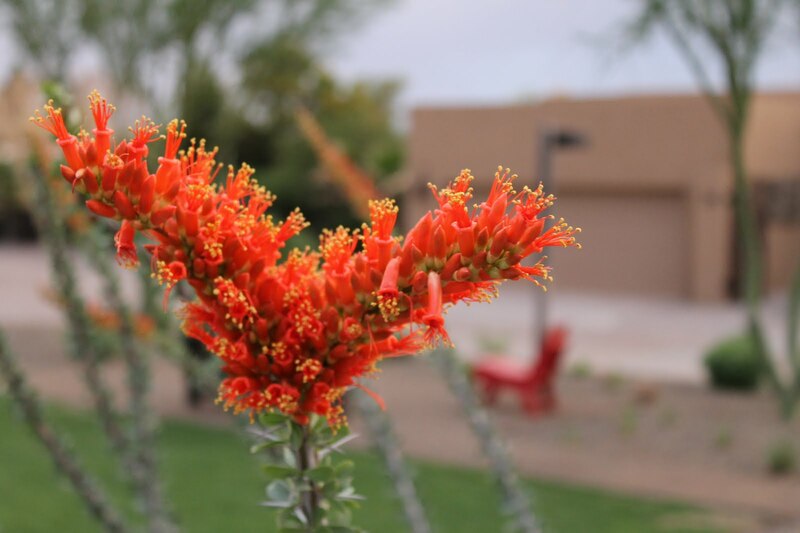 Looks lovely…the flowers and landscape are so interesting.Arizona looks very warm and we are chilled here.Nice that you had a holiday…road trips can be such fun! Beautiful photos, your trip looks like an amazing time. I am so jealous :). woooww!! I really love this nice places! The truth is that I don't no too much about the states, specially about this amazing landscapes! I really like yor blog! gorgeous photos. i've always wanted to go to phoenix and sedona. Great photos Annie! I'm not a big fan of the desert but you definitely captured its beauty. 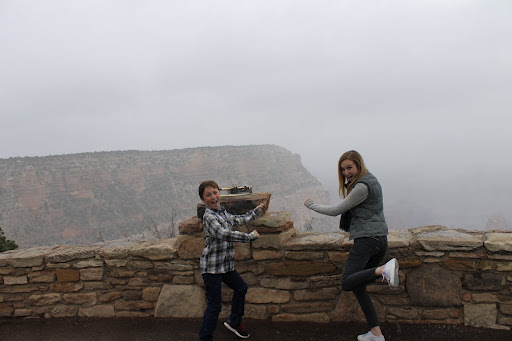 I have lived in CA my whole life and never visited the Grand Canyon. Thanks for sharing your visit!